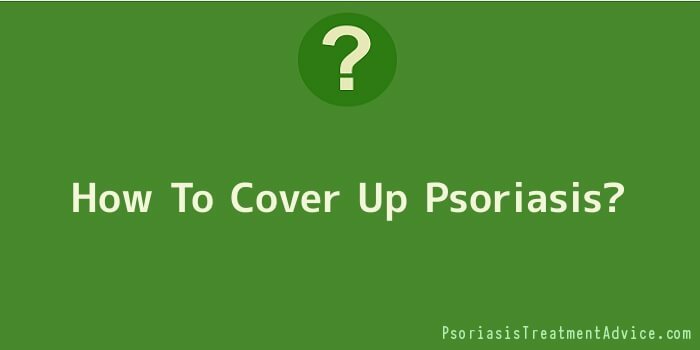 How To Cover Up Psoriasis? Everyone has their distinctive relationship with makeup, and surprisingly, some individual have none at all. However, when Psoriasis sets in, one’s relationship with makeup must be advanced a notch higher, particularly, if they are increasingly self conscious about the adverse cosmetic effects of your Psoriasis. A little makeup can go a considerably long way to conceal those dry, red, raised patches on the skin, well, if you know how to do it right. Psoriasis experts conquer that makeup helps substantially in concealing the redness of the pesky skin condition. However, the top secret to masking Psoriasis is utilizing a light touch. The less the concealing makeup, the better! Psoriasis specialists assert that while makeup can conceal your Psoriasis considerably, it often fails to cover up abnormal skin texture. Consequently, wearing too much makeup will not at all conceal your Psoriasis, but actually draw attention to it. While makeup can substantially conceal Psoriasis, it’s essential to comprehend that makeup use is prohibited in the case of open lesions or raw cuts, as this may aggravate the Psoriasis situation. Moreover, Pustular and Erythrodermic Psoriasis patients are not allowed to utilize makeup because these Psoriasis forms cause lesions that are easily irritated by makeup and other cosmetic products. It’s mandatory to talk to your Psoriasis physician about any makeup concerns, or if your lesions get stingy and itchy after utilizing a certain makeup product. Camouflaging Psoriasis lesions often needs professional cosmetic knowledge, and the following Makeup application tips will help any Psoriasis patient in the successful concealation of this pesky skin condition. Camouflaging makeup works incredibly on less scaled Psoriasis lesions. Consequently, you should strive to engage in de-scaling techniques such as hydration or occlusion prior to any makeup application. Hydration typically involves sitting in a warm water tub for 10 to 15 minutes, and then gently exfoliating the lesion scales with a towel. Occlusion, on the other hand, involves application of emollient cream on the lesions, wrapping them with a plastic cover overnight and washing away the scales in the morning shower. Often at times, powder based concealers dry the skin and they don’t have the shine and finish of a liquid based concealer. Therefore, it’s advisable for any Psoriasis patient to utilize makeup products that have a liquid shine and finish. Any great makeup concealation starts with a good foundation. Foundation is important in achieving a natural look, and certainly, a concealer can’t work remarkable without a good foundation. Typically, concealers are similar to foundation makeup, probably thicker and less translucent. It’s significant to purchase a concealer that complements your skin colour, for example Dermablend, which may be found in leading department stores and even online. Colour correctors are products that have to be utilized with uttermost caution, especially if you don’t have any makeup knowledge background. Applying green colour correcting makeup is a smart choice if you desire to tone down the redness of your Psoriasis lesions, but you ought to be utterly careful not to apply too much. It’s always advisable for Psoriasis patients to seek for cosmetic professional help when it comes to using colour correctors. Concealing Psoriasis lesions can go an exceedingly long way in making you feel comfortable under your own skin, regaining back any previously lost confidence. Camouflaging makeup will definitely help you conceal your pesky skin condition, speaking about it when you only deem it fit.